#9722 - The Military Maxims of Napoleon - Chandler, David G.
Unique record of Napolean's invasionm of Russia by Faber du Faur a talented artist and front line soldier. Highly regarded primary source material. 208pp. 92 full page illustrations in colour and numerous vignettes from his sketchbook in the field. With an introductory essay on pictorial satire as a factor in Napoleonic history by J.Holland Rose. Vol. 2 - xii, 441pp plus publishers lists. It was in India that Wellington gained his experience of strategy and tactics which he would put to masterly effect against his most formidable opponent in years to come. 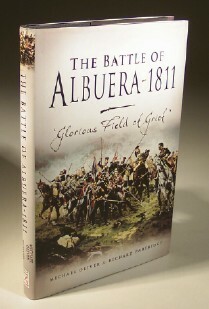 On 16 March 1811 a combined British, Portuguese and Spanish force commanded by the British General Beresford met the French army under Soult at Albuera in Southern Spain. 176pp illustrated in black and white. 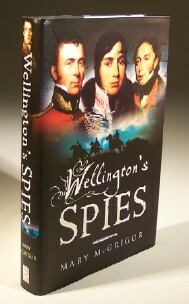 This book brings together first hand accounts of three of Wellington's most daring and successful Intelligence Officers. 272pp with black and white plates.